How Do You Keep an Iceberg Fresh? The pattern is as old as school reform itself. When we find a school that works, how can we transport those successes to schools everywhere? 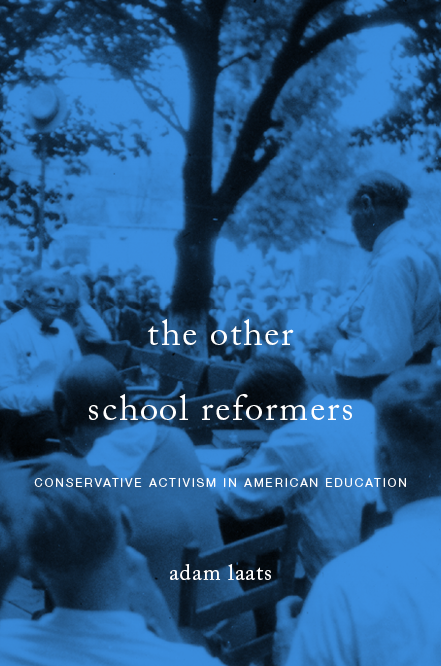 Two recent stories underline the perennial misunderstandings about school and school reform that have always bedeviled well-meaning reformers. A good school is not something we can package, market, and ship. It’s as difficult as trying to tow an iceberg. As I’m finding in the research for my next book, good people have always made this same goof. When Joseph Lancaster’s Borough Road School in London began showing decent results educating kids from low-income homes, he became an instant celebrity. Fabulously wealthy dilettantes visited the school and gushed. Back then, those folks were actual royalty. Soon, the young Lancaster started believing his own fundraising spiel. He promised the leaders of New York, Boston, and Philadelphia that his master plan could work in any school, anywhere. It couldn’t and it didn’t. The mistake Lancaster made—one of them, at least—was to assume that his limited successes were due to the specific methods he was using, rather than to his endlessly deep royal pockets and his authentic love and enthusiasm for his school and students. These days, progressive teachers fume about well-meaning celebrities making these same sorts of centuries-old mistakes. In The Nation recently, Megan Erickson offered a scathing review of Eva Moskowitz’s self-promotional memoir. Moskowitz is hard to like. Among her many face-palm-worthy notions is the idea that she could package her program at Success Academy and use it to “fix” schools everywhere. They wanted to figure out how to set up a school that cost no more to run than district schools but achieved far better results, and then replicate that model throughout the country. As Lancaster’s story showed, it has never worked that way. School is an intensely local enterprise. Trying to package and replicate it will always be a losing proposition. Consider the story told this week by curmudgucrat Peter Greene. Greene looks at the deterioration of the AltSchool program. This intensely personalized school program for wealthy families has run into some problems, as Greene describes here and here. Now that Ventilla has some things that sort of work, it’s time to sell a version of them to other schools and make some real bank. Those schemes have never worked and they never will, just like wacky schemes to tow icebergs from Antarctica to hot deserts. Since at least the 1970s, attention-hungry politicians from hot places have always flirted with such plans. After all, they say, the icebergs are just floating around. With a little funding and pluck, icebergs could provide nice cool water for hot dry deserts. Could it really work? No! I’m embarrassed to even spell it out, but I will. When you tow icebergs to the equator, the icebergs don’t like it. They break up. They melt. What does any of this have to do with school reform? Like good schools, icebergs are intensely LOCAL things. They come about because of local conditions. So do good schools. Good schools are fueled by families who feel included. They are good because of the enthusiasm, energy, and dedication of teachers and staff. Good schools work because leaders make smart decisions that focus on supporting those good things and getting obstacles out of the way. Trying to package those things up, slap a marketing label on them and ship them to other schools is not a smart way to create good schools, just like towing icebergs is not a good way to get ice. Of course, with enough money and energy, it might be possible to pull an iceberg around. You might even make it to the desert. But what you’ll be left with won’t be worth all the hassle; all you’ll get is a handful of lukewarm disappointment. Why Do We Want our Schools to Fail? I’m not seeing a “like” button to express my agreement. So I guess I will have to reply. Good schools are fueled by families who feel included. They are good because of the enthusiasm, energy, and dedication of teachers and staff. Good schools work because leaders make smart decisions that focus on supporting those good things and getting obstacles out of the way. Well said. Education cannot be mechanized. It isn’t merely communicating facts. It is about motivating students, about imparting a love of the subject. Good teachers instinctively know how to do this.